CONVENIENTLY LOCATED, OFFERING FREE CONTINENTAL BREAKFAST, AND MANY OTHER SERVICES! Going to an event at BB&T Soccer Park? 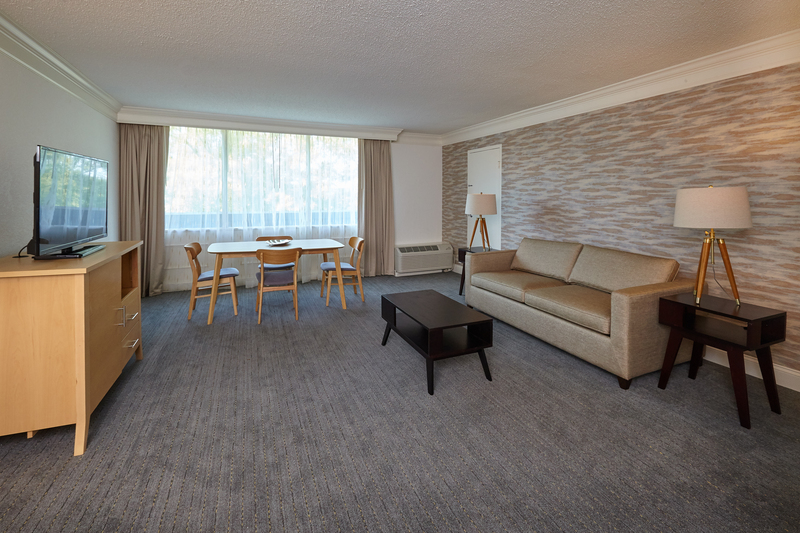 Our proximity to it makes us the ideal hotel choice for your stay… Also nearby are Wake Forest University and Winston Salem State University (home of the Rams). The Best Western Plus University Inn plays host to several visiting Universities that participate in the A.C.C Tournaments. Everyday, our guests can enjoy our newly improved, complimentary hot breakfast featuring eggs, meats, waffle station, as well as several gluten-free options. Our spacious guest rooms include mini refrigerators, coffee makers, hairdryers, and 43-inch LED TV’s. Additionally, all guests can enjoy our outdoor pool. Our property has undergone many upgrades throughout, including but not limited to the installation of a new state-of-the-art Wifi system for all guest rooms, meeting rooms and public areas, which have received several great reviews from guest and patrons that have attended special events. 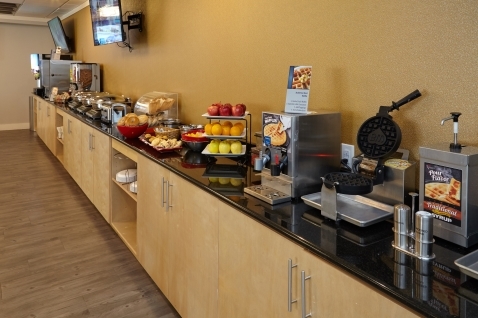 Our guests can enjoy our newly improved, complimentary hot breakfast featuring eggs, meats, waffle station, coffee, juices, milk, cereal, fresh fruit, baked goods, and yogurt. We also offer several glutten-free options. Visit our photo gallery page for a closer look at our rooms and ammenities including the pool and business center.